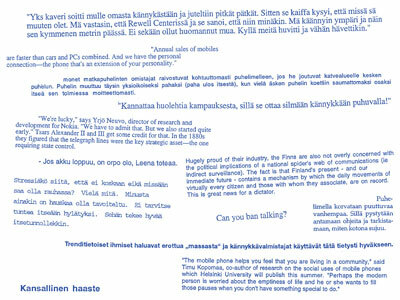 The audio work consists of interviews with random passers-by on the streets of Helsinki in June 1998. 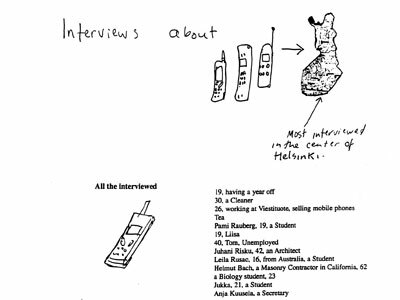 The passersby were asked whether they have a mobile phone and how they use it. 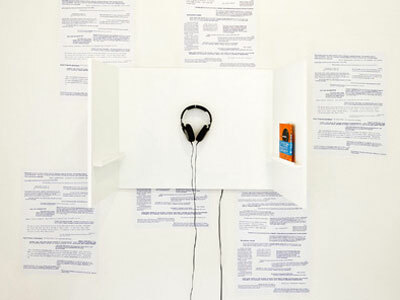 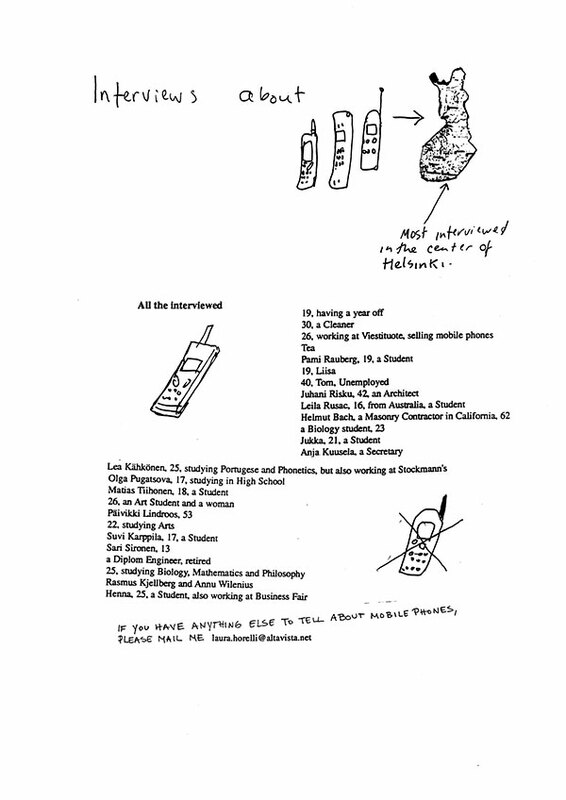 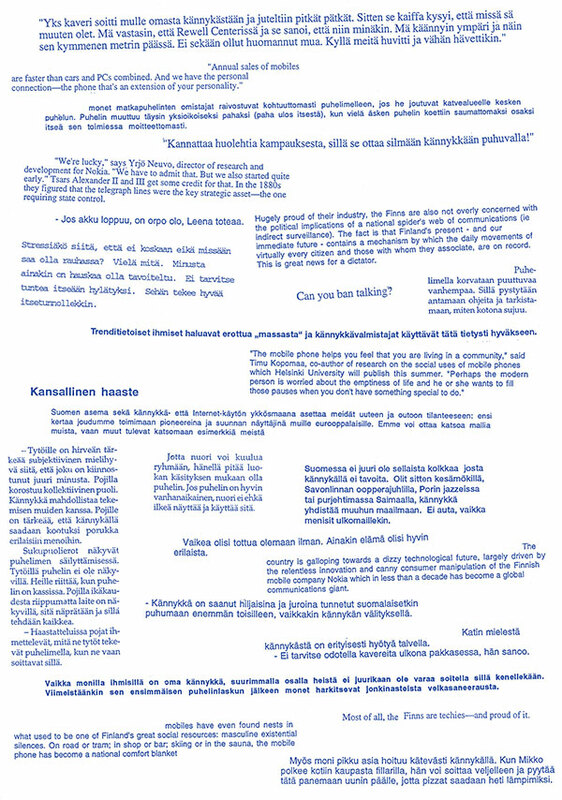 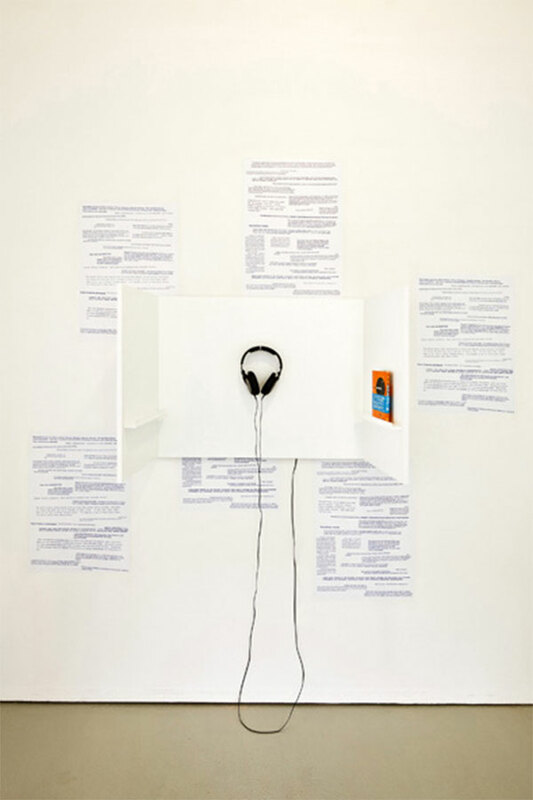 The audio work is accompanied by posters with quotations from the Finnish and the international press on the social phenomenon of the mobile phone from the years 1998-99.